The FALKOR PETRA 300 WIN MAG is the apex of the magnum AR class. Equipped with a 22” DRACOS StraightJacket® Barrel System, the PETRA is the Ferrari of the magnum semi-auto class. 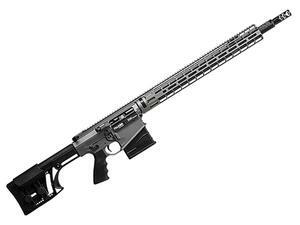 With accuracy that has never been experienced in a production AR, the PETRA re-defines the expectation. Built with a patented ambidextrous billet receiver and our proprietary recoil reduction system, the PETRA is the perfect rifle for the firearm enthusiast that demands the highest quality and accuracy available. Unlike its bolt gun counterparts, the PETRA has virtually no recoil. The PETRA features a Transition MLOK™ compatible rail, specifically engineered to add strength and rigidity to the union between the upper receiver and the barrel. Each component is designed with the professional end user in mind and machined to aerospace tolerances in FALKOR’s Montana based headquarters.